Chocolate. Few nibbles are as exciting as a piece of chocolate. 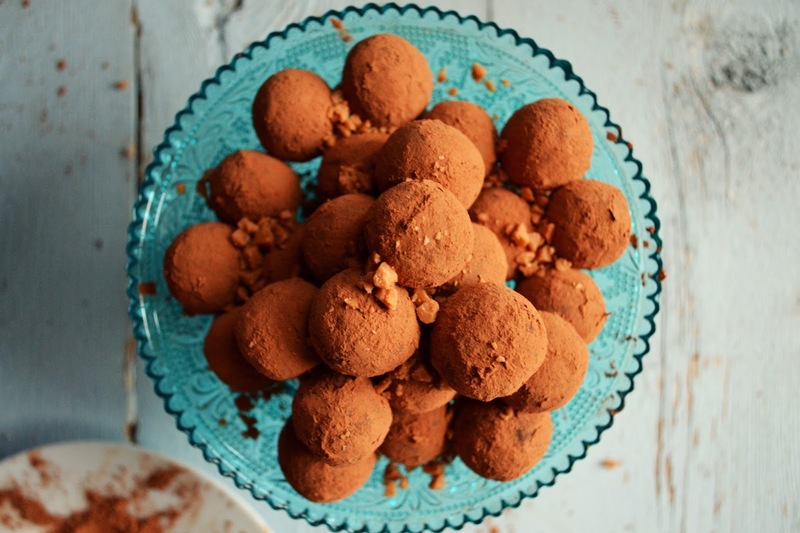 Better yet, chocolate truffles. To me, the best thing about dark chocolate is it doesn't take much to satisfy. Just a truffle or two can feel like a decadent treat. I like to take small bites, to savour the richness of the chocolate and dwell in the moment just a little bit longer. A truffle coats the tongue with the flavour and texture of pure luxury. Let the wind whip and the rain fall. Let the chores wait. There is no need to rush a truffle. I like to keep my baking cupboard well stocked so I can prepare something whenever the mood strikes without having to make a trip to the store first. My go-to chip is Hershey's CHIPITS. They taste incredible, perform well and fit my shopping budget nicely. So, I was delighted when I was asked to create an easy holiday recipe using CHIPITS to share with you. These 5-ingredient Chocolate Toffee Truffles are so simple to make, yet so elegant, even your kids could make them and impress just about anyone. It starts with dark chocolate chips for rich, chocolatey flavour. 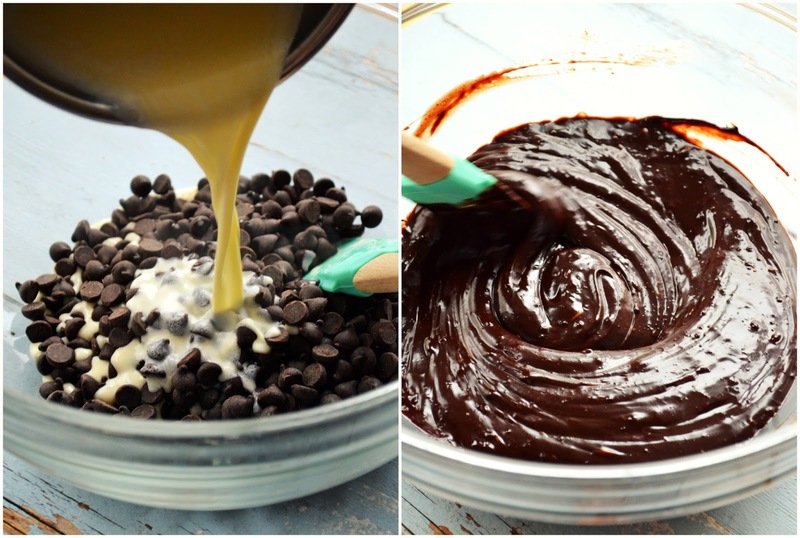 A hot cream and butter mixture is poured over the chips and stirred into a luxurious, silky ganache. To take things up a notch, SKOR toffee bits are stirred into the mixture to add crunch and interest. Once chilled, the ganache is formed into balls then rolled in cocoa powder for a pretty finish. These can be made ahead and stored in the refrigerator for up to two weeks, or even frozen for a few months. 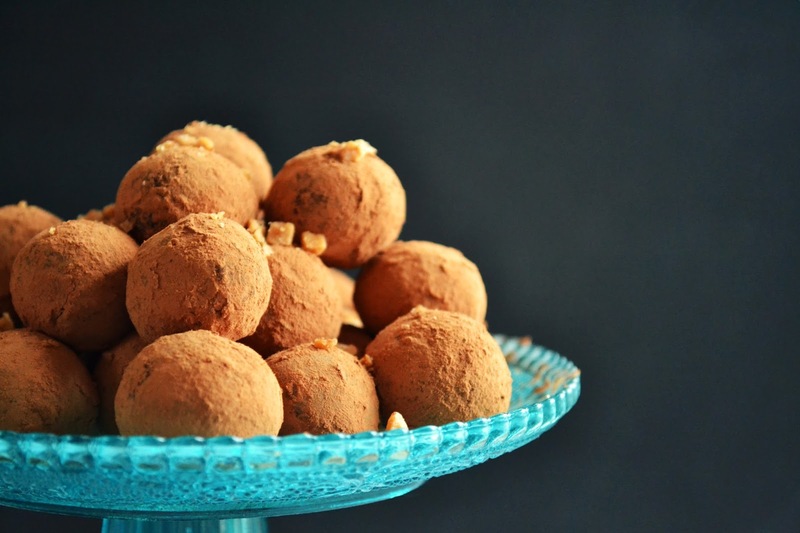 It doesn't get much easier or more decadent than my Chocolate Toffee Truffles. 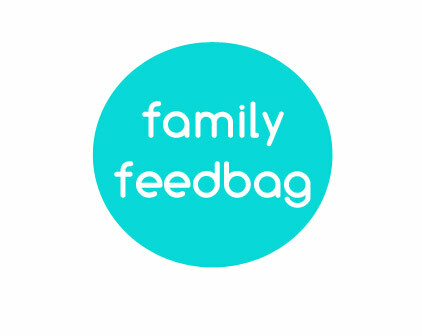 Scroll down for the easy recipe and treat yourself and your loved ones to something truly special this holiday season. Add the CHIPITS dark chocolate chips to a large mixing bowl. In a small saucepan, heat the cream and butter over medium heat, stirring occasionally, just until it reaches a simmer. Pour the hot cream over the chocolate chips. 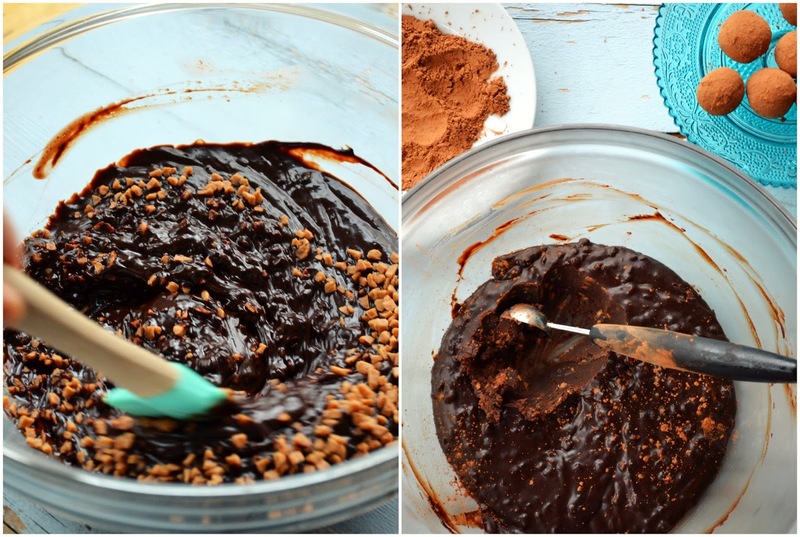 Stir until the chocolate is completely melted and smooth. 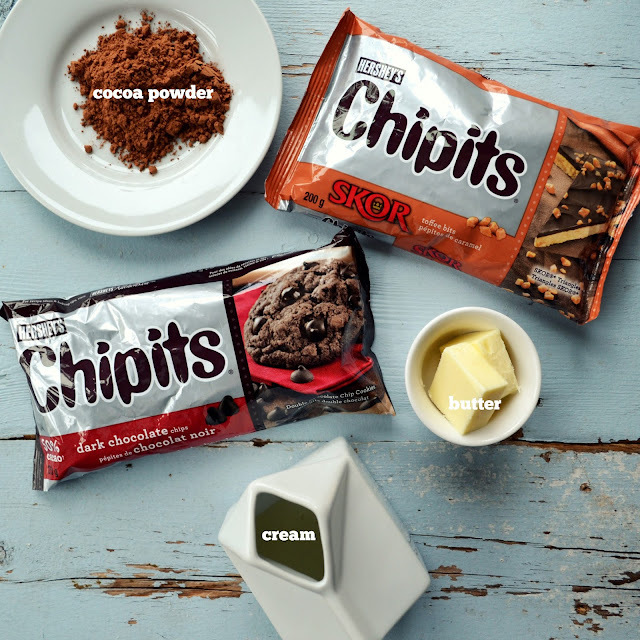 Stir in the CHIPITS SKOR toffee bits. Cover with plastic wrap and chill in the refrigerator for at least 2 hours (this can be made a day or two ahead). Add the cocoa powder to a small side plate. Using a melon baller or small spoon, scoop some of the chocolate toffee mixture and roll between your hands to form a 1-inch ball. Roll the ball in the cocoa powder to coat. Continue in this manner to form all the truffles. If desired, sprinkle with more CHIPITS SKOR toffee bits when serving. Store in the refrigerator, covered, for up to 2 weeks. 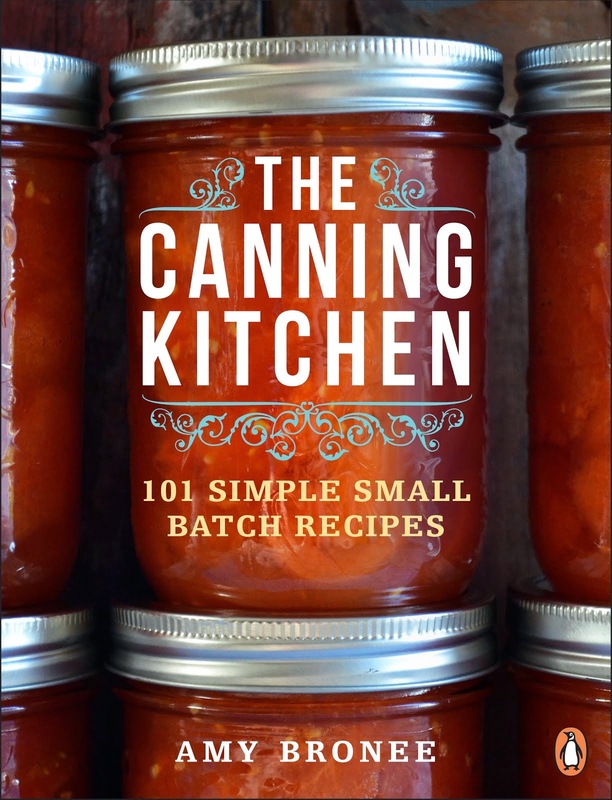 You can also make them ahead and freeze for up to 3 months. 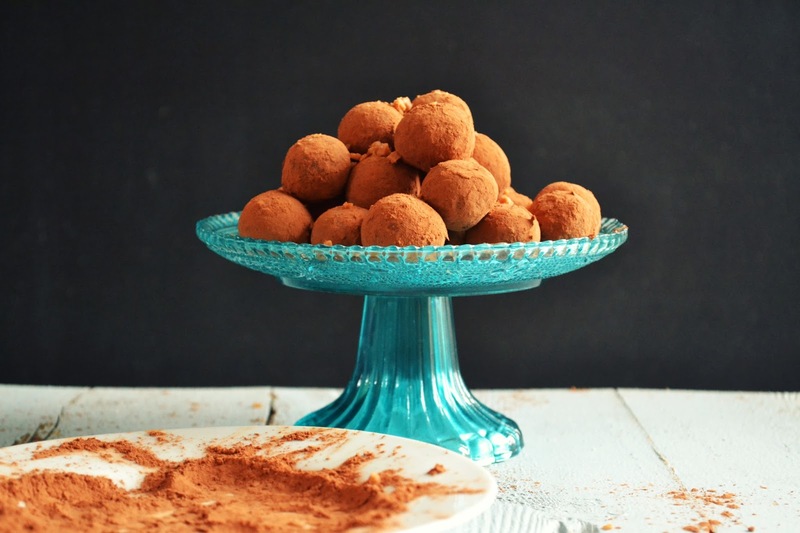 NOTE: To make rolling truffles a little less messy, dust the palms of your hands with cocoa powder as you work. What will you make with chocolate this holiday season? Disclosure: I was provided with Hershey's CHIPITS at no cost to myself to develop this recipe. I am also being paid my usual recipe development and photography fee for this blog post.